from South Africa. christmas tree decoration. 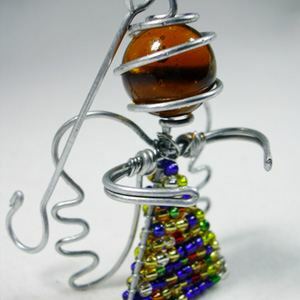 With beads, wire and ring. Width approx. 4 cm, Height approx. 7 cm (without hanger). 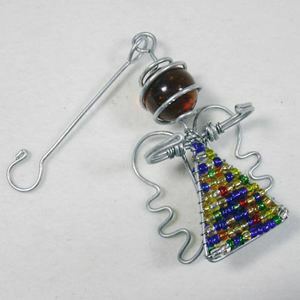 Also a great item to decorate presents!All wire art products are handmade, are therefore unique and can vary slightly in size, appearance, colour and shape.